20 years ago today — Windows 95 was released. Windows 95 was the most significant update to Windows ever made at the time — ushering in the transition from 16-bit architecture to 32-bit architecture and introducing a completely brand new graphical user interface designed to make Windows much more consumer friendly. I was only 12 years old at the time but well on my way to being the computer nerd I am today. I thought I’d share some of my favorite memories of Windows 95 in honor of its 20th anniversary. There are two things about Windows 95 that were big deals at the time for me when Windows 95 was released: it’s new UI and the Internet. First — a little bit of backstory. 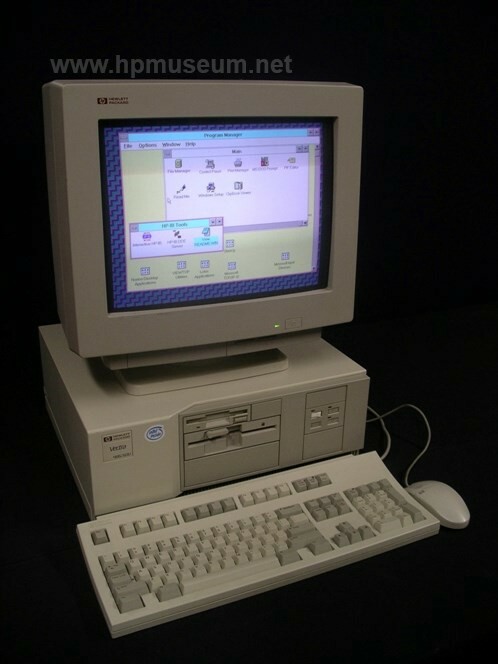 In the early 90’s, my dad brought home our family’s first PC: a HP Vectra 486U. It ran Windows 3.1. It was with this PC that I fell in love with Windows. My dad’s job at the time dealt with a lot of computer stuff and I learned to do things on the PC by watching him do things. I had tons of fun. But Windows 3.1 wasn’t exactly intuitive or easy to use. And I quickly got bored with MS Paint. I wanted to do a lot more. You had Program Manager that would be your go-to spot for all your applications and then File Manager to manage your files, etc. But Windows could be so much more easier to use. As a kid — I wanted Windows to enable me to do more. When Windows 95 came out, my dad and I upgraded our PC together. When I say “together” I really mean I watched him go through the setup experience. And when the upgrade was done and the PC booted into Windows, I can remember being blown away by the new UI. It had a Start button! What did the new Start button do? A taskbar! This was all new! No more Program Manager! So how do I get to all my programs? How do I manage my files? I was so excited to learn the new Windows. I dove right in. The Start menu for me was the single best thing about Windows 95. The next best thing about Windows 95 was how it made connecting to the Internet and browsing the web much more easier. When Windows 95 came out, I had already been “surfing the web” and checking email. In Windows 3.1, I remember having to use a command line to dial-in and connect to the Internet. With Windows 95, you could do this simply by double-clicking on a connection icon you setup for your Internet service. It also came with a brand new web browser called Internet Explorer. However, my dad didn’t like IE at the time so we kept with Netscape as our default web browser. But even Netscape was better on Windows 95 (they released Version 2.0 after the release of Windows 95). I do remember moving away from Eudora and using the inbox e-mail client Windows Messaging for my e-mail (as a 12 year old and one of the very few kids to even have an e-mail address at the time, I didn’t get much e-mail though). After Windows 95 was released, I got a huge kick witnessing friends and family all of a sudden in the market for PCs. The PC market exploded with Windows 95 because it made using PCs and connecting to the Internet really easy. And I quickly became the kid everyone wanted to help them learn how to use their PC and the Internet — and I loved it. Windows 95 helped people DO more with their PCs and I think at its heart — that’s what Windows is all about. And it’s great that Windows 10 has gone back to this.